Before marrying, Dorothy had never been farther than a few miles from her village. William’s cobbler’s salary provided mere surviving. England was fighting France. Any sea voyage during wartime was dangerous. Usually the missionary husband left alone, to return later for the family, after preparing for them in the new country. Even British officers and government officials stationed in India left their families behind. William didn’t. When William was detained from India, he again asked her to come. By this time, she had given birth to their fourth son. John Thomas, the missionary doctor accompanying William, convinced Dorothy she may never see her husband again unless she come with him now. Dorothy was afraid to stay home. They prepared, packed, and took care of all their worldly goods and left—in one day. The year of their arrival in India was 1794. Dorothy and her oldest son contracted “bloody flux,” an eighteen-century phrase for dysentery caused by an amoeba. Most European cases requiring hospitalization in India. The Careys had no money for that. Not knowing the cause made treatment ineffective. The victim carried the amoeba to their death. Improvements in health were merely symptoms of remission, not removal of the cause. Not only was Dorothy weakened by dysentery, but in their first seven months in India, they moved five times. William had grossly underestimated the cost to live in India. They were poor. Missionary work was not permitted. In the eleventh month, their five-year son Peter died of fever. This was just one year’s events. They never settled down that first year. She was afraid for her children’s health. And grieved over their deaths. She struggled daily with dysentery. She was afraid of the government and what they would do to her husband. The language, culture and customs were strange to her. William was very much distracted with working, translating, and learning the languages to help her. She didn’t share William’s passion for the lost and the desire to obey God at all costs. She only had the suffering that came with it. Instead of taking her fears to God, she held them. Her fears, stress, and grief consumed her. She began to drown in its obstacles. Could it have been a physical cause that made Dorothy lose her sanity? Perhaps. Her body was stressed and her diet lacked much that her over-worked system needed. Could it have been an emotional overload from what she feared or suffered? Again, we don’t know. Some suggest a spiritual cause: to hinder their missionary efforts. Again, no one knows. But what she did before she was insane, influenced how her mind worked after she was insane. Most of her fears, she could not control. One fear, that of William’s constant absence, she might control. She focused on that one thing. In her step from sanity, she imagined her solution: William must be having an affair. She hounded him on public streets, accusing him with obscenities about his unfaithfulness. The missionary doctor, John Thomas, had no treatment. Even William spending more time with her, too late at this point, was ineffective. For twelve years, through another pregnancy, Dorothy suffered with insanity. The book, Dorothy Carey: The Tragic and Untold Story of Mrs. William Carey, evaluated treatments known at the time. Each seemed not enough to bring Dorothy back to reality. We don’t have all the facts. We don’t understand the mind or how it works, let alone what brings someone to a point of losing it. Family dynamics are always beyond the scope of truly understanding. Understanding God’s ways with a finite mind is impossible. Let’s look at what she did before she went insane. Dorothy submitted to her husband to go to India. She submitted on the outside, but her heart wasn’t in it. 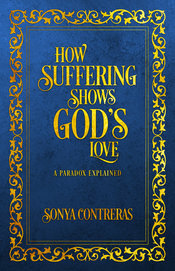 The book questioned whether William Carey should have forsaken his passion and stopped his mission to care for his wife. Could he have accomplished such “great things for God” if he had? Sometimes it’s easy to impose our era’s priorities of family on a different era. We think they should think like we do. But trying to put all biases aside, let’s look at Scripture. For what does it profit a man to gain the whole world, and forfeit his soul? Mark8:36. William was not lost, but he was one with his wife and he lost his wife. Could he have saved her mind, if he would have spent more time with her? We won’t know. Carey was a visionary. He stormed through any obstacle to accomplish what he must. But he did not lead his family—he drove it. A driver pushes his people, willing or not, to do what he wants. He is ten or twenty steps ahead of his followers. And they are left in the dust, wondering what happened. In so doing, Dorothy left her mind behind. We’ve written about the different kinds of husbands, Carey would be that crazy man. It is possible to follow a visionary man without getting left behind. This article gives help. We can look at William’s accomplishments and think he was God’s man. God uses the vessel that submits to Him, even a faulty, broken vessel. God used Samson, who didn’t respect His Word. God used David, who was a man after God’s own heart, but his family ended up a mess. God used Eli to raise Samuel, even though his own sons did evil in the sight of God. We will never understand why God uses the faulty vessel, but because He does, we can be used, too. For that there is hope. Should a Christian man who is married to a non-Christian wait for his wife to “come beside him” before he does things for God? Illustrations abound in the Old Testament warning the Israelites of marrying foreign wives. Not because they are foreign (remember Ruth and Rahab), but because these wives would turn their hearts from God. Do not be bound together with unbelievers; for what partnership have righteousness and lawlessness, or what fellowship has light with darkness? 2 Corinthians 6:14. The text continues to state how a Christian’s life should be different from unbelievers. We know several men who married an unbelieving wife. When they married, they walked on parallel paths. Years later, their paths have separated and there is a wide gulf between them: their interests are different, their priorities conflict, their children aren’t believers. They can’t lead their family if they have no followers. They have only a companion, but not one to share the important things of their heart. What should they do now? Obeying God rips apart their union with their wife. William Carey pushed his wife to follow him. The result: He lived with an insane woman for twelve long years. That’s a long time. We can easily condemn William for not taking care of his wife. But what should he have done? I’m glad I’m not a man who must balance obeying God in his mission and caring for his wife. There’s very few Biblical examples of good fathers and husbands, even though many men are praised for their service to God. Can’t these men obey God and have a good family? But since I’m not writing to men, let me address the women. What could Dorothy have done? It’s hard for a wife to submit on a good day. It’s even harder to submit when grief, loss, depression and fears consume us. These things are not wrong. It was natural, and human to suffer, grief, be depressed and fearful. Those are emotions that God has given us as human. It is what she did with them that made the difference. When we submit, we honor God. We also help our husbands with that delicate balance of obeying God and caring for family, so they are not torn to do one over the other. It shouldn’t be God or us. We should be helping them obey the God we both serve together. But, when we only submit outwardly, we don’t help our husbands. It’s like the child who says, “SORRY!” in a surly tone. He outwardly obeys, but inwardly needs an attitude adjustment. We’ve made progress with “SORRY.” But must strive for that inward submission of true help. Sometimes, it takes submitting outwardly to make our insides fall in line. By “pretending,” we act our mind to start feeling right. We act then feelings follow. We “do” love and then we “feel” love. Dorothy Carey started with that outward submission. But she never went past the outward to make it her heart’s desire. This constant, internal, tug-of-war—submit without heart—wore her down, exhausted and weakened her to have other problems. It will hurt you too. Not only was her submission only outward, but her fears monopolized her thoughts. Ever read biographies of great men and women? Notice all their obstacles, suffering, and hardships. They seem unsurmountable. How do they get through them? Same way Jesus took the cross. Jesus endured more suffering than we can imagine. How? Jesus fixed his eyes on his purpose and didn’t waver. Dorothy didn’t have a purpose. She didn’t share her husband’s passion. She only saw the hardships. 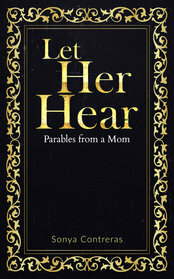 Her sufferings, grief and fears seemed greater than her husband’s because she wasn’t driven by a passion to reach the lost and obey the Great Commission, she was motivated by fear. That fear consumed her until it choked her. Hadn’t she come with her husband “till death do us part”? She certainly thought death for both of them was sure and coming soon. Her fears were legitimate, not imagined. In India, she felt deserted by her husband, and left alone with her four little boys. Without a purpose, she perished. Do you have fears that threaten to sink you? William grabbed onto the Word of God and he did not fall. But Dorothy grabbed onto her fears and sank. She sank so low she lost her mind. Dorothy lost reality when she emphasized her fears. She needed to look to God and hold only to Him. Your fears may be genuine. They are strong. But they can’t overwhelm you, unless you allow your mind to fixate on them. That’s why the Bible says, Commit your way to the Lord, trust also in Him and He will do it. Psalms 37:5. Do you have fears? Tell God. Commit to His thoughts, His Word, His way. Trust Him. And He will take you through those fears to the other side—peace. Maybe Dorothy would have lost her mind anyway. We don’t know. But would she have lost her heart? In her insanity, she shouted obscenities, and attempted to kill William numerous times. A developmentally challenged person still acts with love; many times showing more sensitivity than others who can reason. He shows his heart. Rationality can hide by self-control what’s really there. What would your heart say if you removed the mask of self-control? Would your mind be so full of God’s Word you’d shout praises and be loving, or would you show something else? Let God change your heart by knowing His Word. Maybe your husband spends a lot of time away. You feel like you’re raising your children alone. Are you submitting to your husband, on the inside and out? Is he the leader of your household? Many husbands stay away from home, because there’s nothing for them to do. You do it all. You lead. You don’t respect. You don’t submit. Ask God to show you where you aren’t submitting. And you won’t like it. Do you want your husband to enjoy being home? Do what it takes to bring him home. If you are submitting, is your passion your husband’s? Make your husband’s dreams, passions, goals yours. Support him in what he does. When you obey God supporting your husband, God helps you with those fears. Maybe the story of Dorothy parallels your own and you are feeling like you are losing control of reality. You submit to your husband, but only on the outside. Your fears, perhaps of what he wants to do, pull you into a vortex of more fears. You are losing your reality. Your husband is slipping away from you and you don’t know how to reach him. It starts with outward submission. But it must reach your heart. His desire must be your passion. Look beyond the fears to support your husband’s purpose. God will do great things in your life, as you obey God and stay by your husband’s side. 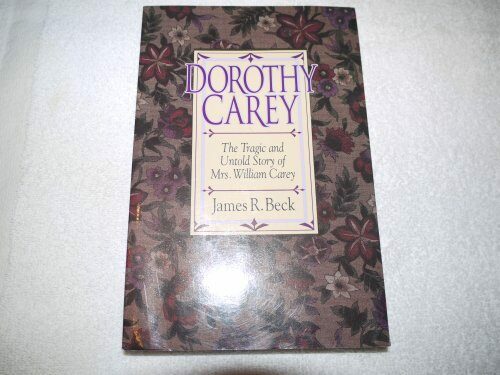 Beck, James R. Dorothy Carey: The Tragic and Untold Story of Mrs. William Carey. Grand Rapids, MI: Baker Book House, 1992. What practical tips do you have that helped you follow your husband, so you didn't lose your mind? What a lesson for all women. 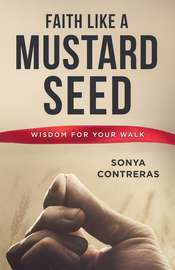 We absolutely cannot be the wife God wants us to be and that our husband's need without God's help. Thanks so much for sharing.